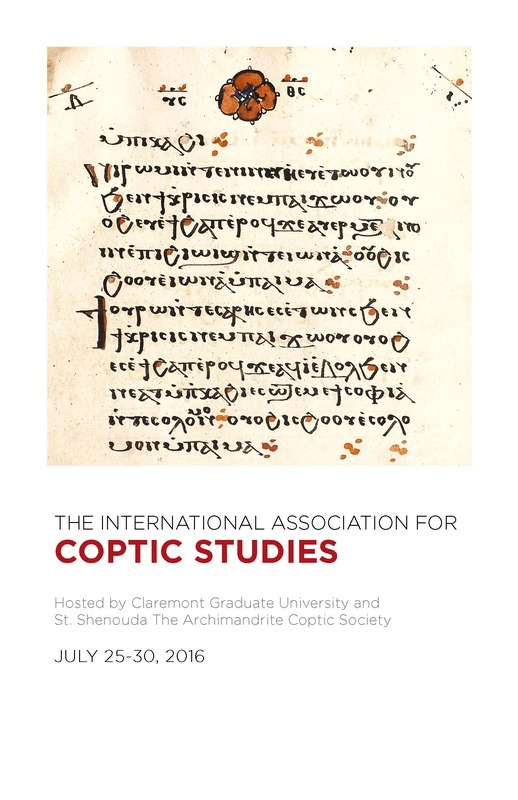 Close to two weeks ago, the 11th Congress the International Association of Coptic Studies concluded. Every 4 years, some scholars in Coptic Studies gather for a fairly traditional conference. I’ve been going to the Congress since the meeting in Leiden in 2000. (2004 was in Paris, 2008 in Cairo, and 2012 in Rome.) I’ve been doing a lot of reflecting here on the blog and in publications about the state of my various fields and subfields in academia, and the Congress led me to reflect once again. Three issues really stood out to me this time: diversity (in the traditional American sense of gender/race/religion/sexuality intersections); cultural heritage; antiquarianism. I was truly pleased to see what I think must be in increase in gender diversity at the Congress. Some of this is anecdotal (and thus perhaps I have the wrong impression): Quite a number of women delivered plenary addresses; it felt like more queer members of the society were more “out” and more comfortable being so. Some change is easily and concretely documented: Women swept the four awards for best MA and PhD theses in Coptic Studies in the past year. The new board members are women: Heike Behlmer of Göttingen as president-elect, with Elisabeth O’Connell (British Museum) and yours truly as members at large. On race, though, it seems we have a ways to go. Although it felt like (again, this is impressionistic) more scholars of color presented —especially people who identified as Coptic Orthodox or of Egyptian (including our Congress secretary, the indefatigable Hany Takla, founder and president of the St. Shenouda the Archimandrite Society)—the whiteness of the board and the program was striking to me. I couldn’t help but wonder if this whiteness was connected to the emphases of our Society, which are most distinctly antiquarian. Every Congress, we have some papers on modern Coptic history, culture, and religion, but not much. A colleague and friend attending the Congress for the first time led me to realize this when he asked whether the plenary on the state of the field in Coptic Arabic literature included modern literature — 20th/21st c novels, poetry, etc. The question—whose answer was no—made the situation obvious. The speaker admitted we were slowing coming closer to modernity with every meeting but hadn’t quite caught up. I was pleased to learn after this Congress that the next one will feature a plenary lecture on modern Coptic Studies. Finally, there were frank lectures about our field’s collective struggles in thinking about our relationship to cultural heritage preservation and destruction. Elizabeth Bolman’s phenomenal lecture about the Red Monastery church sanctuary charted some of the challenges in restoring a late antique and medieval space used by an active, living faith community. Malcolm Choat ended his plenary on the state of the field in papyrology by calling on all of us to consider how our work affects contemporary politics and cultural heritage in the Middle East. (His bibliography is online.) He focused on the ethics of provenance & the antiquities trade, including raising questions about whether we are publishing looted objects. Underscoring that what we do can affect the trade, he urged us not to feel powerless in the face of looting and heritage destruction, “We have no control over what is happening in Egypt. We do have control over what we do…what we publish.” The issue, he argued (and I closely paraphrase, perhaps quote), was not just about manuscripts, not just about papyri, not just about old things. The IACS board tasked Choat and fellow board member Paola Buzi to look into whether the Society should make a statement on antiquities. There’s a lot more I haven’t written about, of course (such as Jacques van der Vliet’s Presidential Address arguing that there was no such thing as Coptic Literature, or my own sessions and workshops). See you all in Brussels in 2020! This entry was posted in Gender, Uncategorized and tagged Coptic, cultural heritage, Egypt, manuscripts, race, SBL, women. Bookmark the permalink.